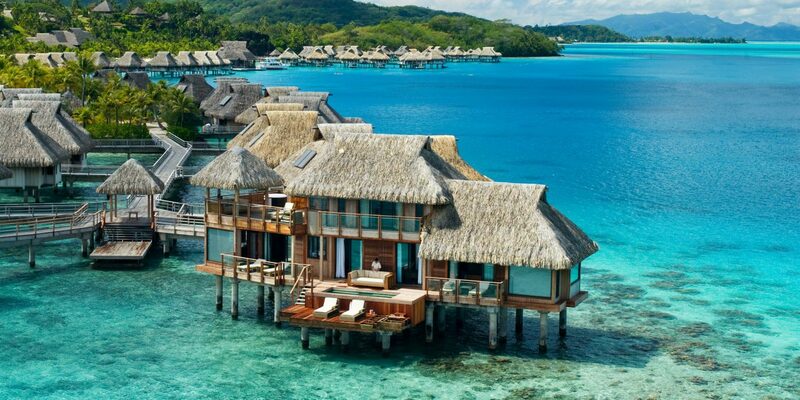 Who can resist the allure of an overwater bungalow? 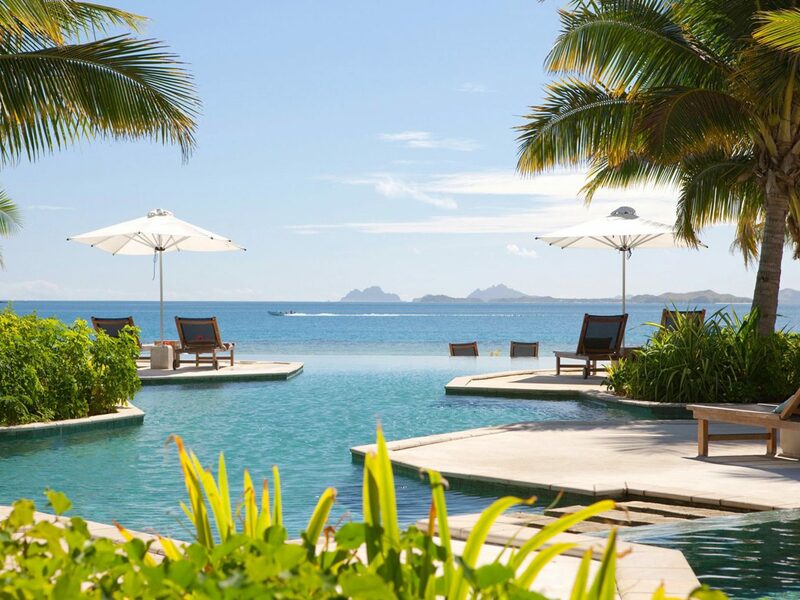 Everything about it spells romantic, off-the-grid seclusion, from the thatched roofs and wraparound terraces to outdoor showers and spellbinding views of the azure waters. 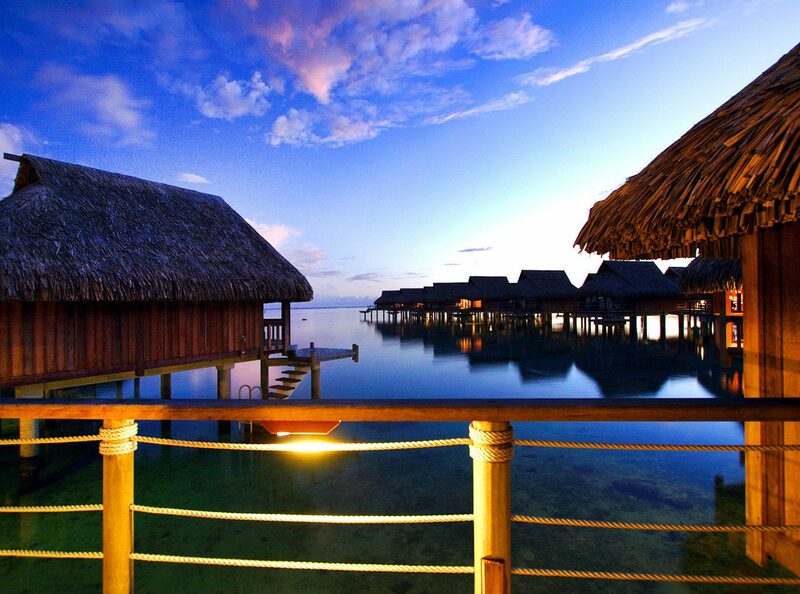 We traveled to Tahiti, Fiji, Bora Bora and beyond in search of the best overwater bungalows. Here's what we found. 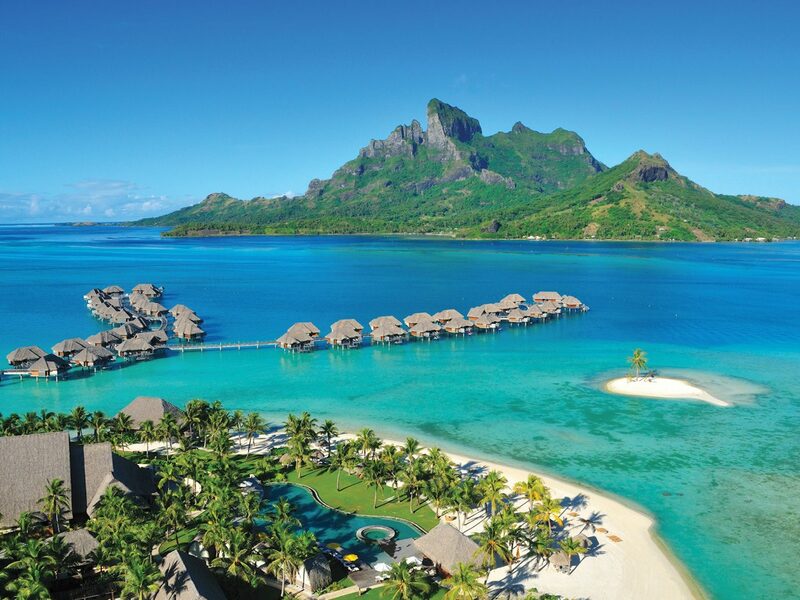 To get to the Four Seasons Resort Bora Bora, a private yacht takes you across warm South Pacific waters to your very own overwater bungalow or beachfront villa. 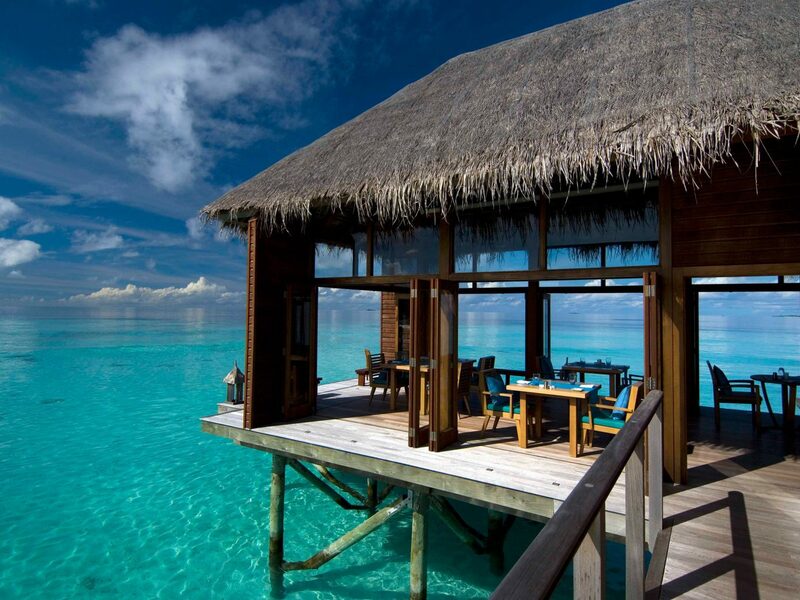 Once there, you'll never have to leave the privacy of your thatched-roof retreat— you can request to have meals delivered by canoe, and decks mean that you’re only ever a stepladder’s distance away from the crystalline lagoon. This resort represents a younger, more affordable take on textbook tropical luxury, which translates into hip accommodations, a buzzy vibe and top-notch service. 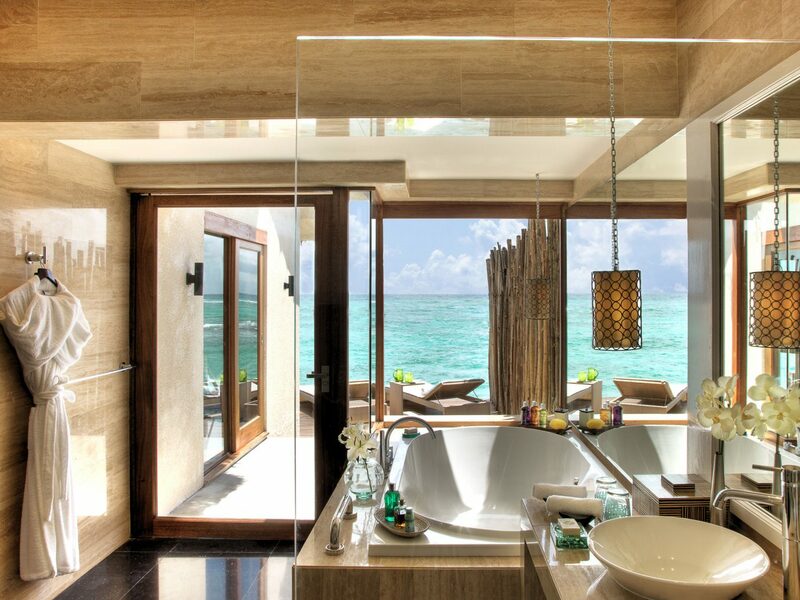 The 62 beach and overwater villas come equipped with outdoor rain showers that let you go au naturel in nature. 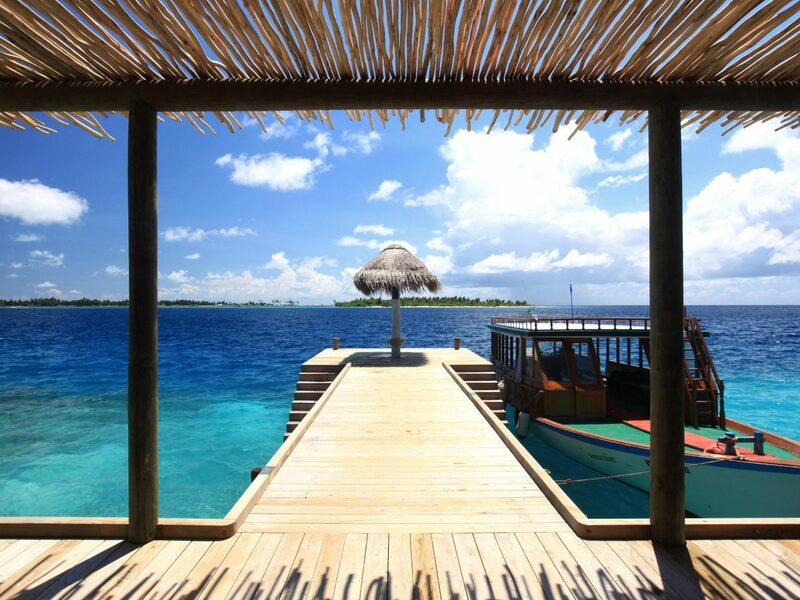 Take a dip in the reef, then climb up your private ladder onto your deck to laze under the sun. 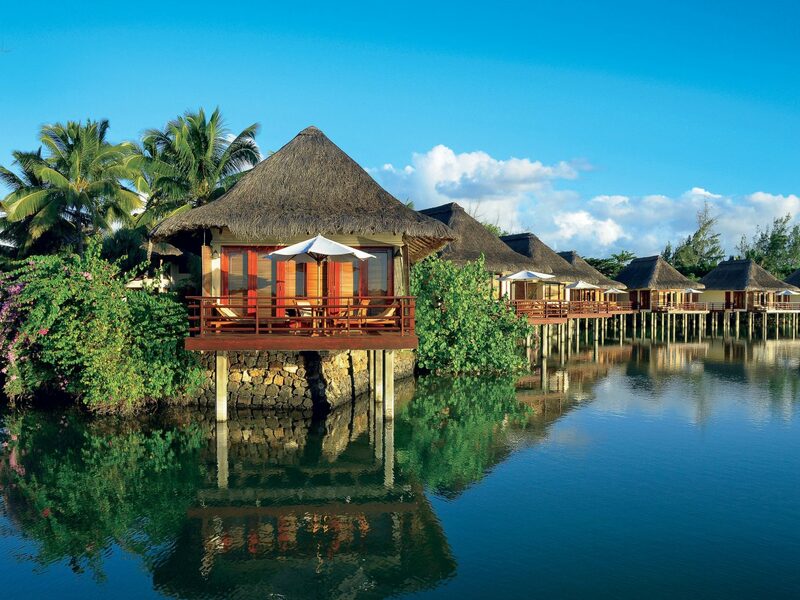 This adults-only resort is home to Fiji's only overwater bungalows, making it a big draw for honeymooners. 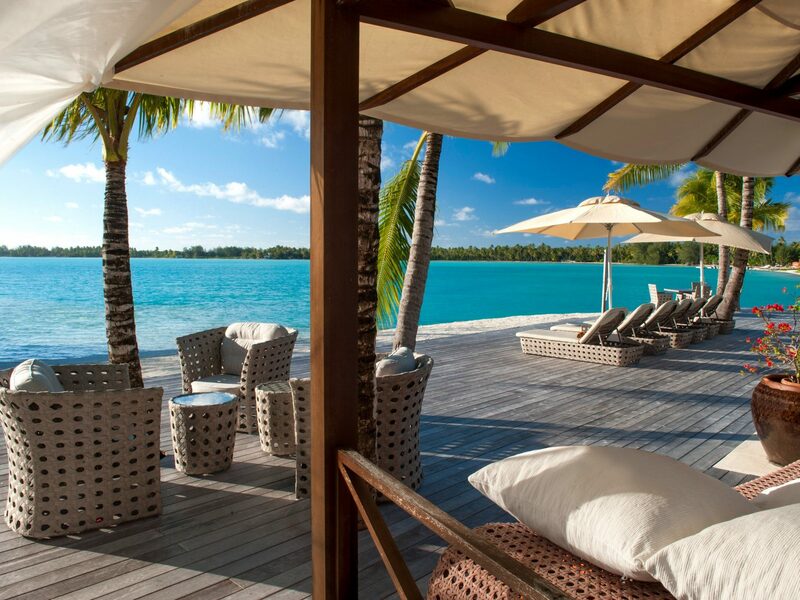 Splurge on a Deluxe Beachfront Bure for direct ladder access to the lagoon, a freestanding bath, lounger-strewn deck and a private plunge pool. 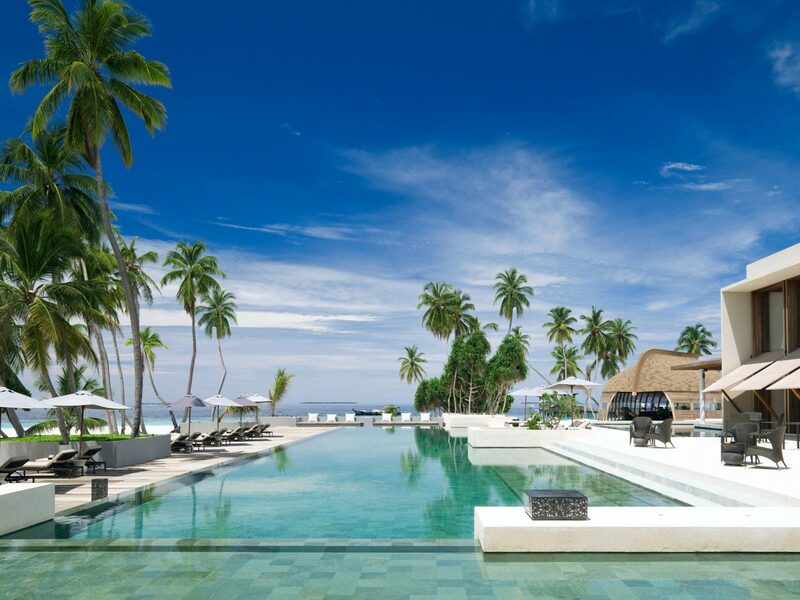 On the tiny island of Olhuveli, the Six Senses Laamu's 97 villas are secluded and luxurious, with indoor-outdoor spaces and private beach access. 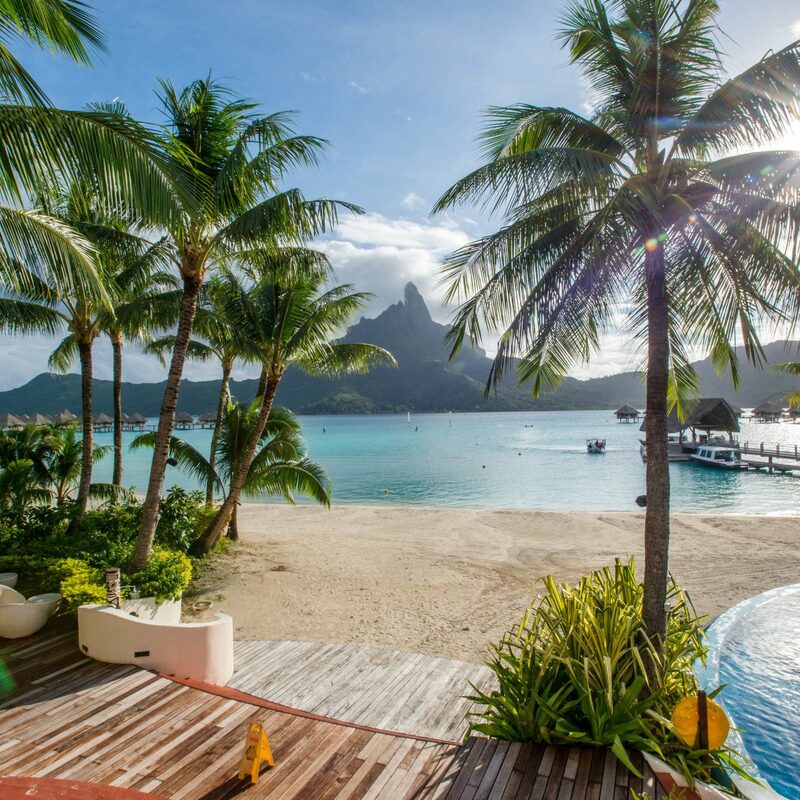 Throw in six distinctive on-site restaurants and bars, the glamorous spa and water activities, and it’s obvious why this resort is a beach vacay slam dunk. 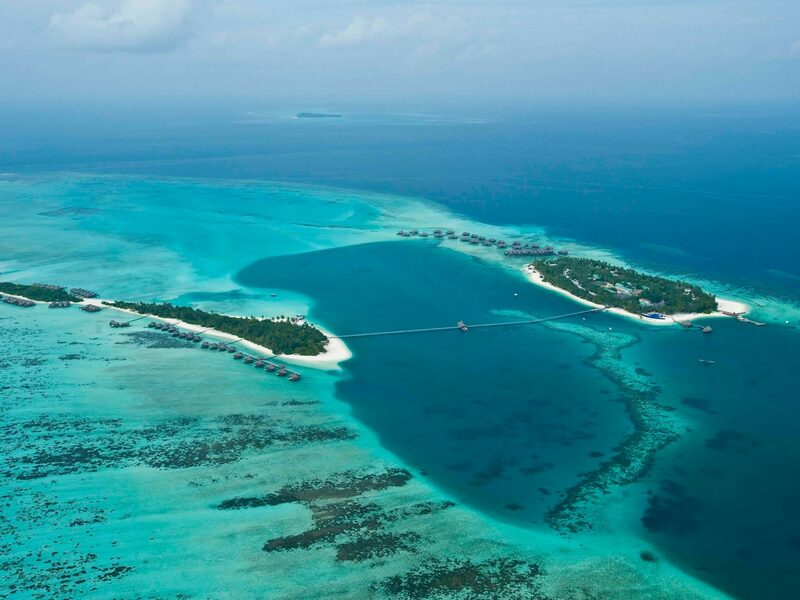 The resort encompasses two adjacent islands, connected by a 500-meter footbridge, and offers both standard beach villas and the coveted overwater variety. 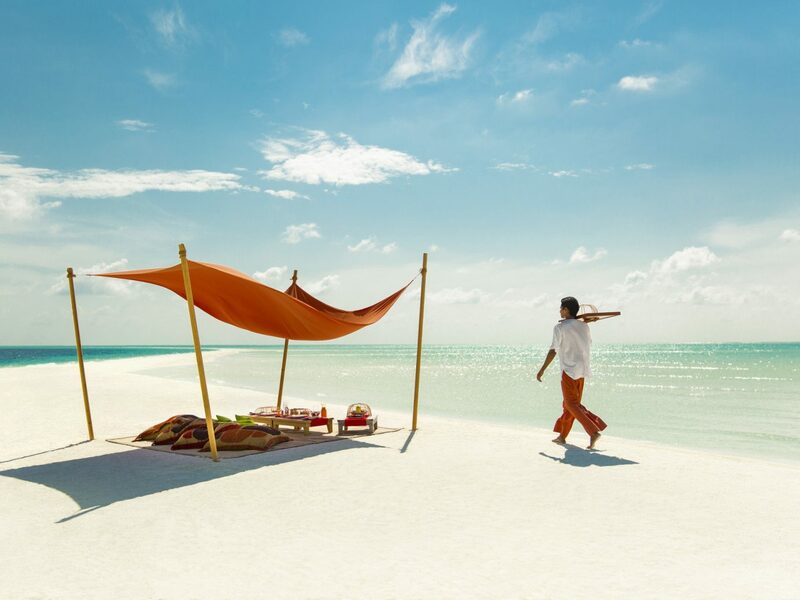 The expansive 1,600-square-foot spa accommodations have large Roman baths, vaulted ceilings, ceiling fans, teak floors, and, of course, unparalleled views of the Indian Ocean. You’ll need to endure a long-haul flight and a car and boat transfer to get to this luxury boutique hotel. 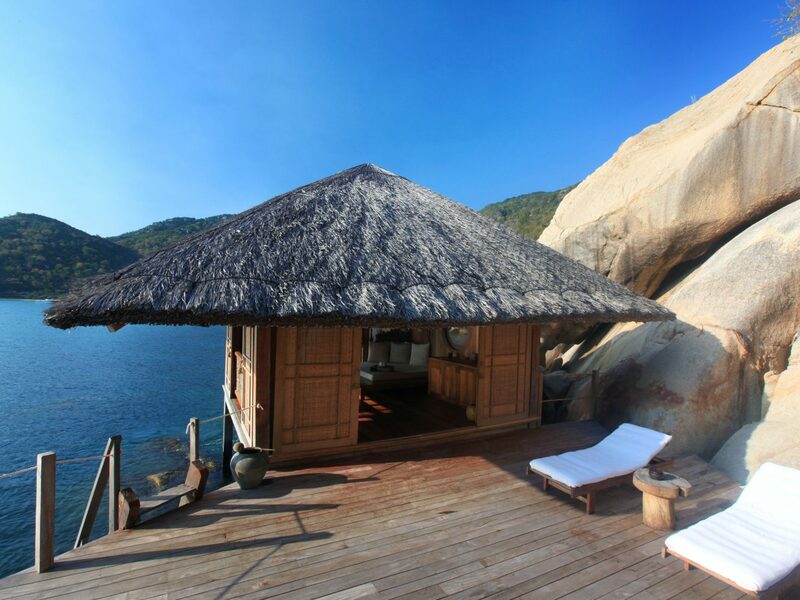 But once you've arrived at Six Senses Ninh Van Bay, it's all about pampered relaxation. The 58 villas are set amid massive rock and boulder formations and overlook the South China Sea; those along the beachfront are extra luxurious, with paths running directly to the sand. 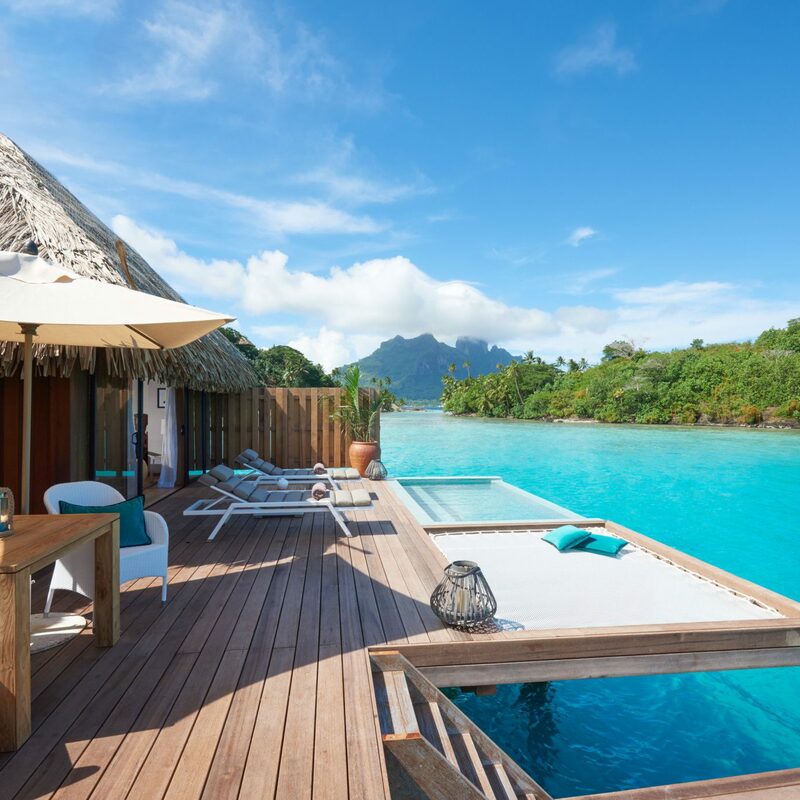 Each spacious overwater villa at the InterContinental Bora Bora has oh-my views of the azure lagoon and the iconic Mount Otemanu. 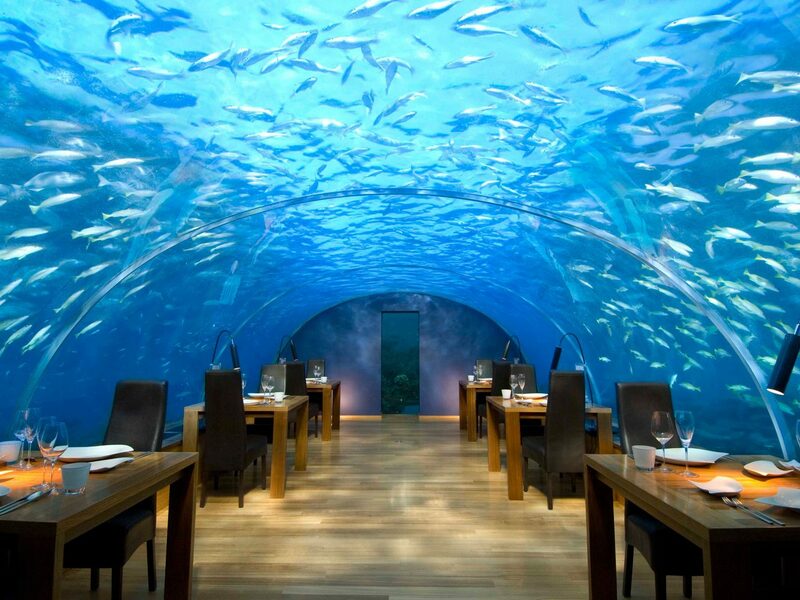 Designed with an environmental sensitivity, the resort uses revolutionary technology that draws seawater from the depths of the ocean to reuse it for electricity. With sawtooth mountain ridges, vertiginous fern-cloaked cliffs, deep ravines and dramatic waterfalls, this wild and romantic island retreat is the ultimate far flung escape. 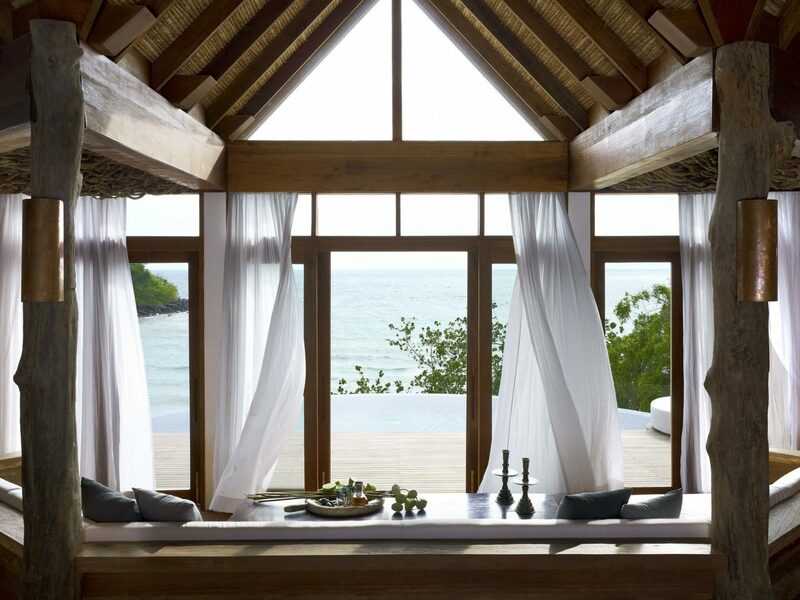 Take in the views from the hammock on your bungalow's deck or from your deep soak tub or rain shower. 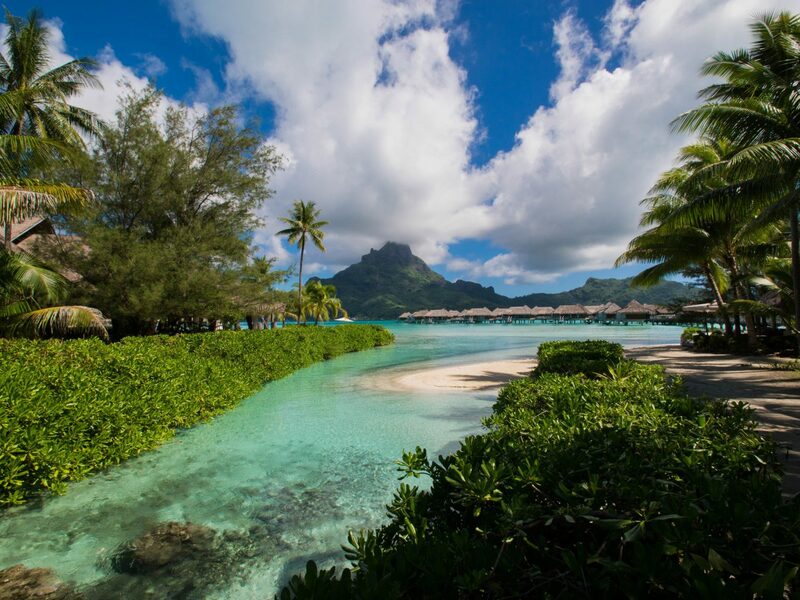 Starting at 1,550 square feet, the overwater accommodations at The St. Regis Bora Bora are the largest in French Polynesia. 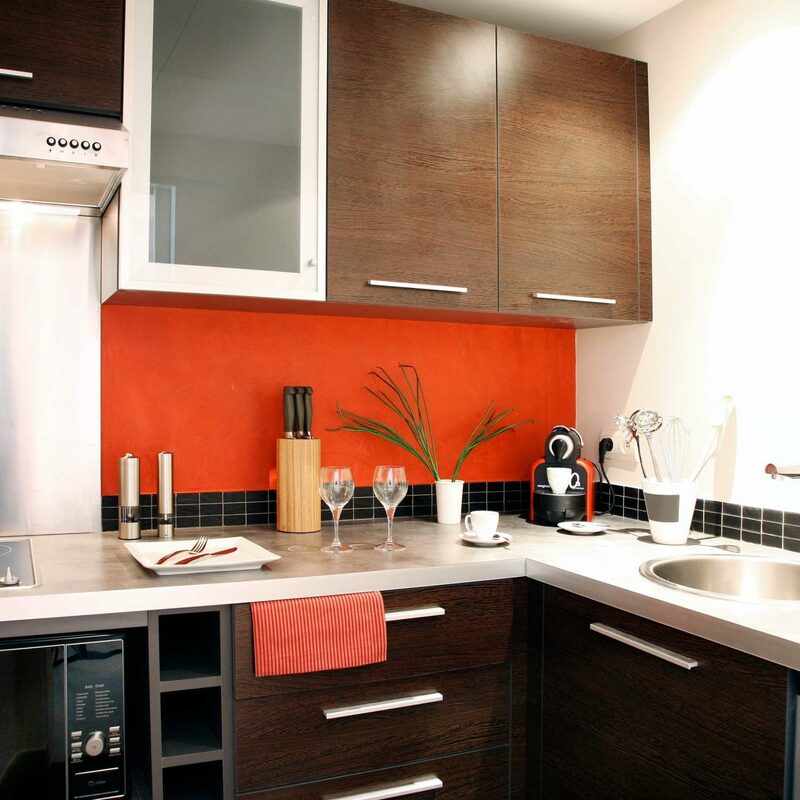 But it's not just size that sets these lush bungalows apart. Blending minimalist Polynesian decor (think: plank wood floors, thatch-work ceilings, tribal-inspired art) and 21st century luxuries like glass floor panels, this property is a serious stunner. Move over, Maldives. 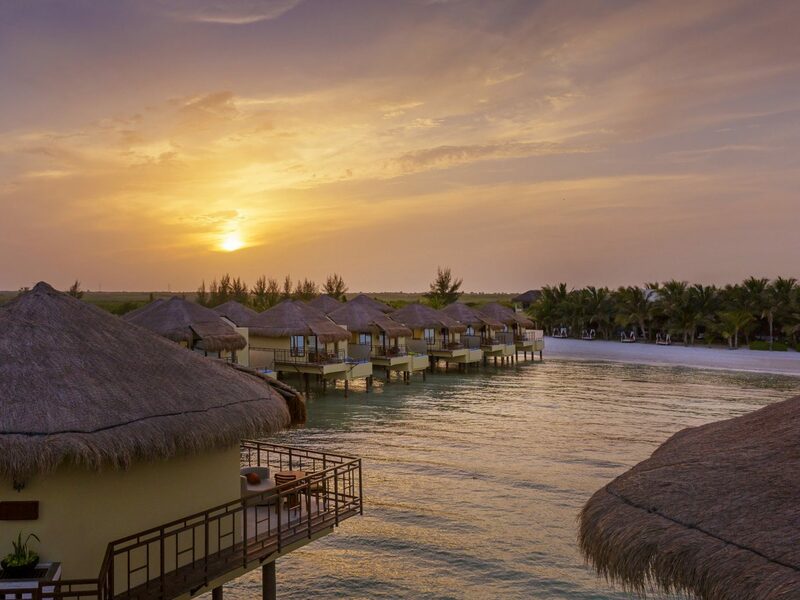 Mexico’s now got its own overwater bungalow resort, and it’s out of this world. The adults-only enclave has 30 plafitos (stilt houses) on a secluded stretch of the Riviera Maya. 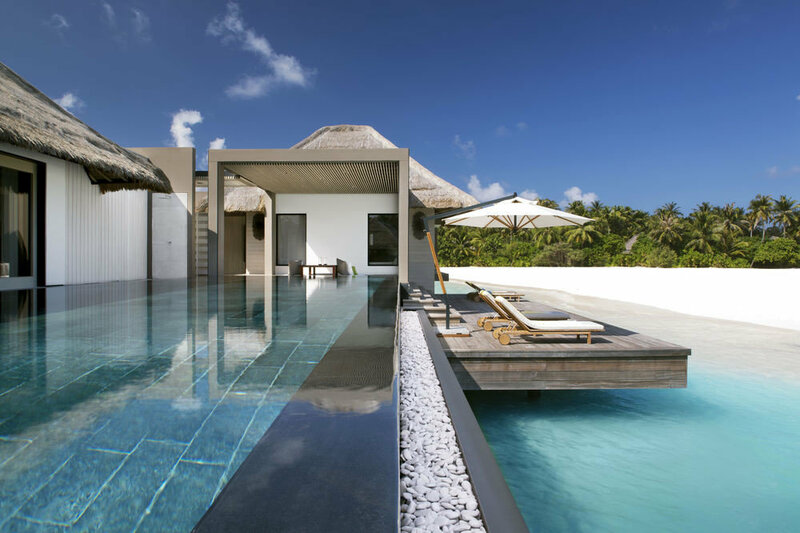 As with most resorts there’s a glass-bottom floor, infinity plunge pool, outdoor shower, 24-hour butler and a ladder that leads into the sea. 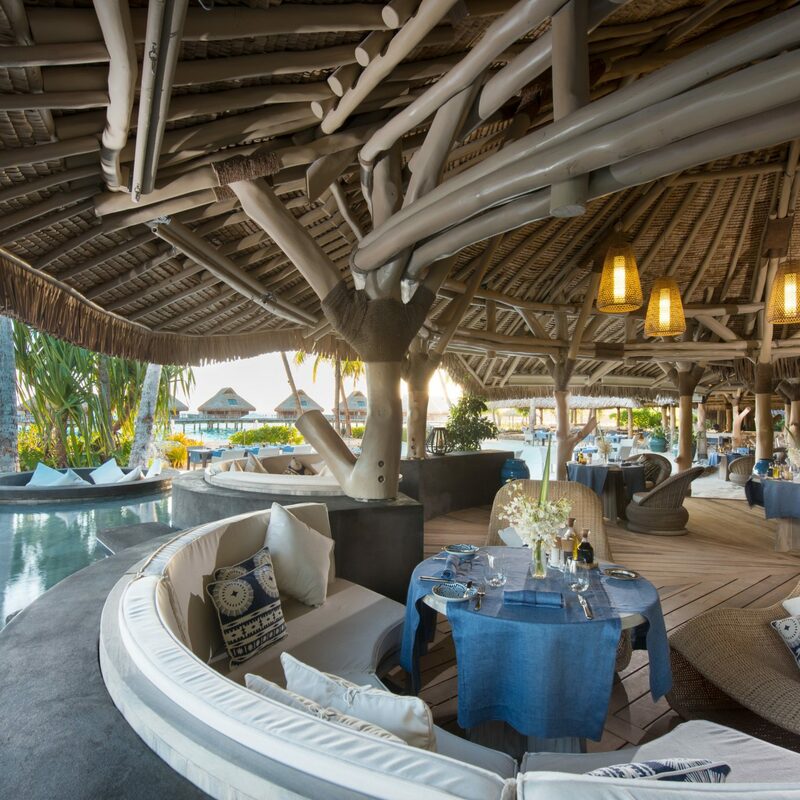 But, the design is the opposite of cookie-cutter: dark zapote wood from the Yucatán Peninsula, Mexican white granite and roofs made with thatched palm leaves. Lush rainforest, pristine beaches, and colorful reefs are just some of the reasons we love this Cambodian getaway set on two private islands along the Gulf of Thailand. 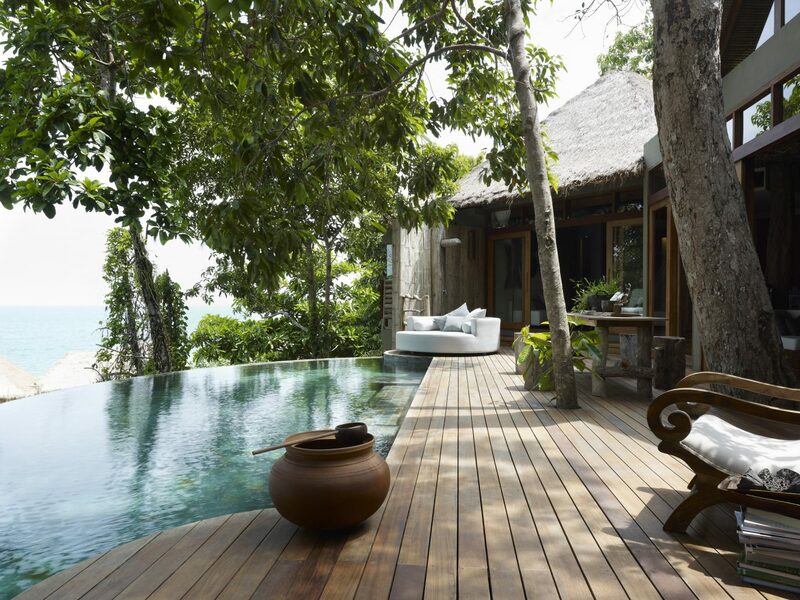 Song Saa’s 27 waterfront villas are done up with natural materials (beach driftwood and recycled timber from old fishing boats) as well as handcrafted furnishings by local artisans. Split your time between the yoga and meditation center, infinity pool, spa, and snorkeling sites. 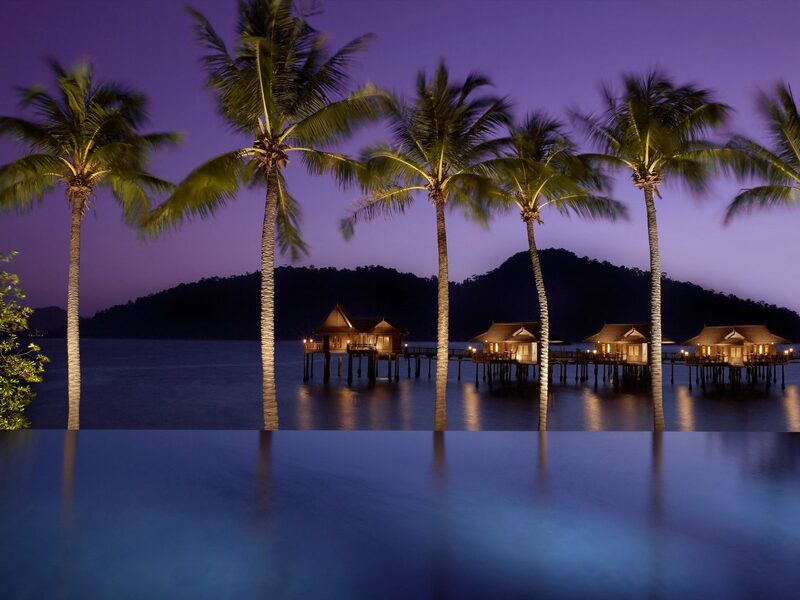 Nestled on a private 300-acre isle in Malaysia, Pangkor Laut Resort is a true tropical oasis. 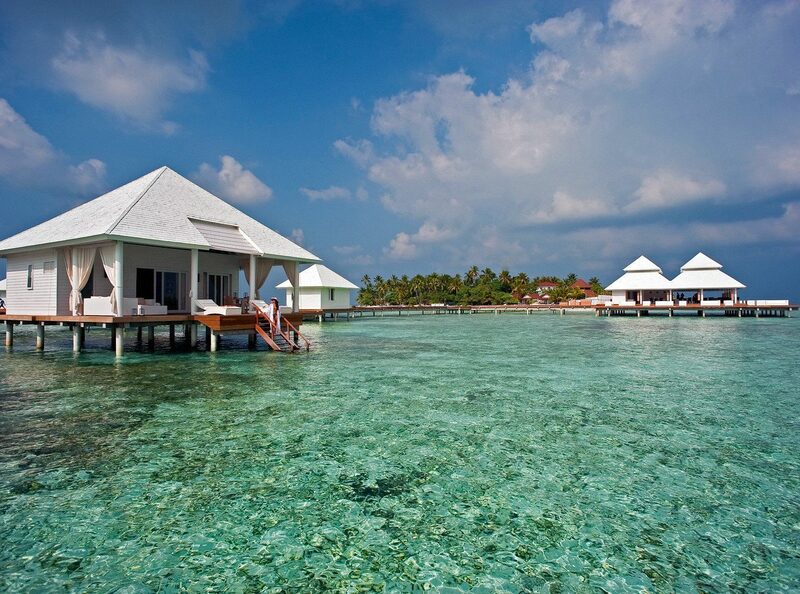 Its 43 posh overwater suites feature massive sundecks and oversized bathtubs that look out over the azure sea. 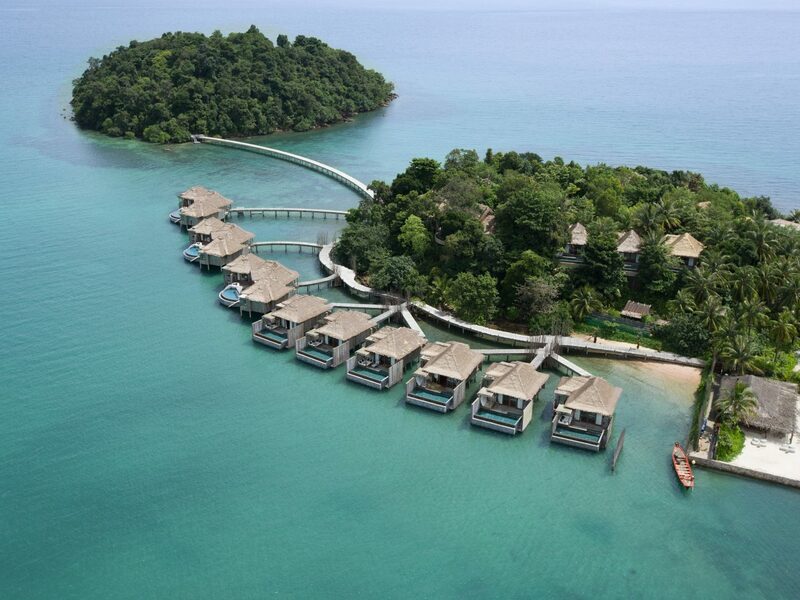 And around the resort, there’s four restaurants, two outdoor swimming pools, and a private beach to continue the bliss. 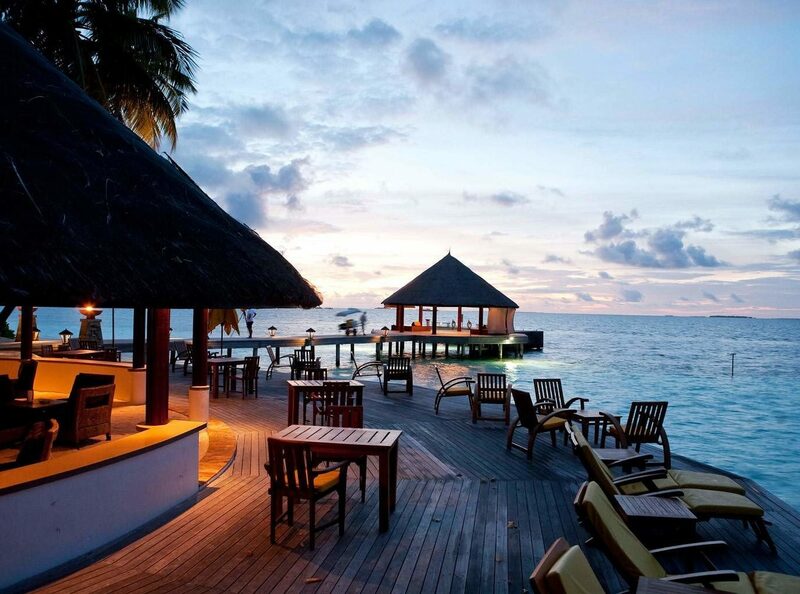 Cocoa Island is the ultimate romantic escape for couples and honeymooners. 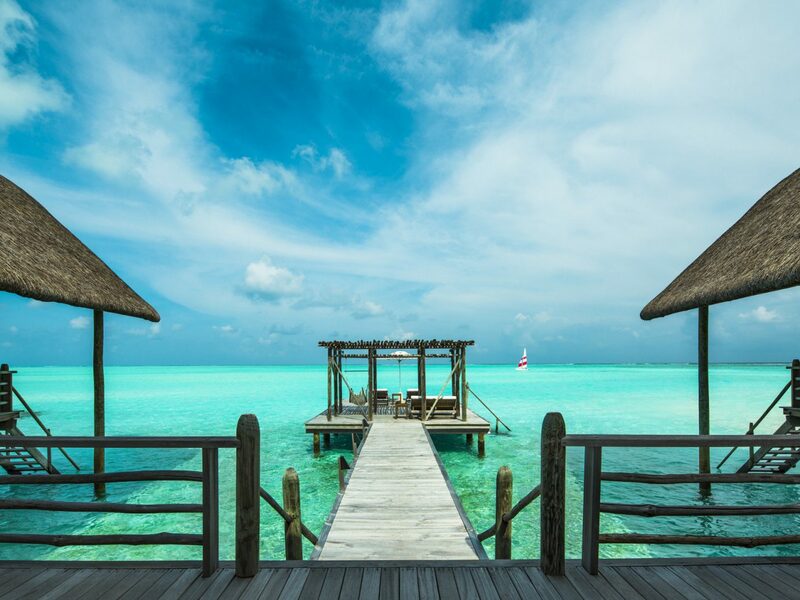 Here, privacy is paramount: the dhoni boat-inspired suites are spaced 24 feet apart, a personal butler caters to your every need, and the South Indian cuisine can be delivered straight to your bungalow (meaning there’s no reason to leave). 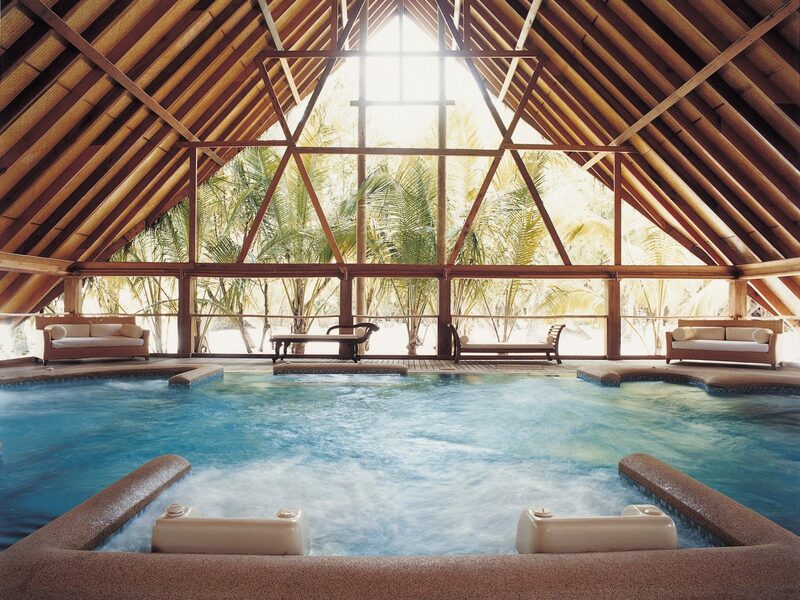 There’s also an overwater Como Shambhala spa if you want to watch the fish while you get a massage for two.